Many exciting events have taken place along the CLNA in the last several months. The most noticeable of these would be the repainting of a large part of the active locomotive fleet. 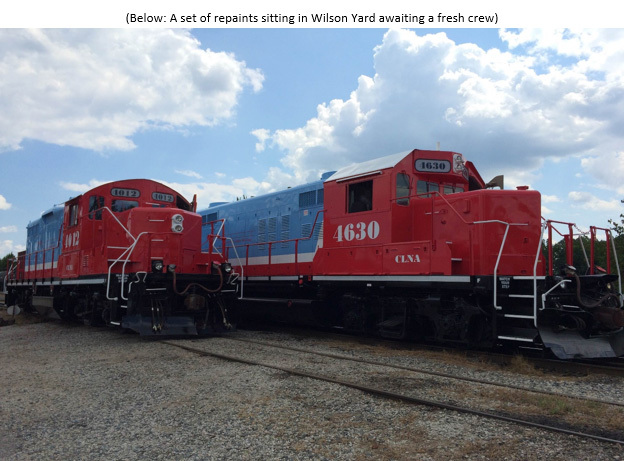 Five locomotives received the official CLNA paint scheme this summer to go along with the 4624 which was painted in-house a few years ago. They’ve drawn quite a crowd and have received a lot of positive praise so far. They’re definitely earning their keep on the CLNA as traffic over the spring and summer has been heavy. May and April were the second and third busiest months in terms of cars moved since taking over the line in 2007. 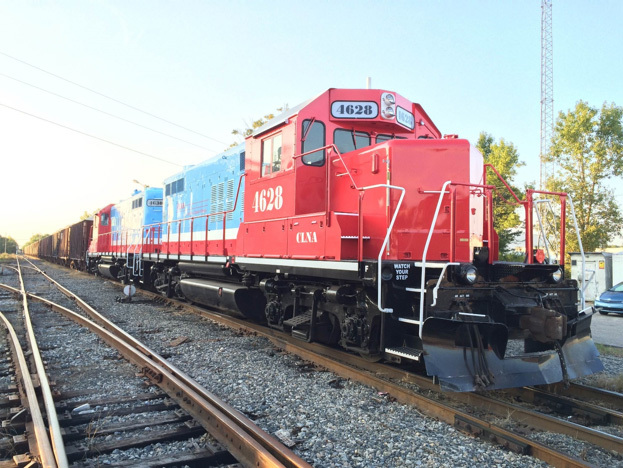 The transload operation in Greenville celebrated its one year anniversary in May and has handled more than 750 cars since opening, actually surpassing original projections. Expansion at the Greenville terminal is set to begin in the coming months. We’re hoping this busy spring and summer lead into a busy fall, and it’s looking good so far. 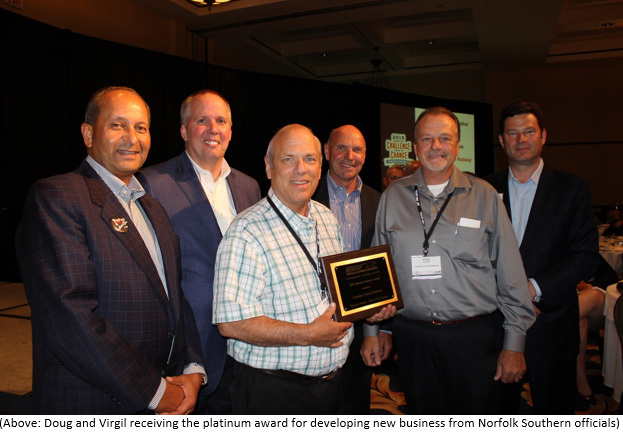 Goldsboro Milling has purchased and will be re-opening the former Southern States mill in Farmville this fall. There are also several marketing initiatives that will hopefully bring in new customers over the next several months. The Nash County line has also been busy, reaching record levels since being under CLNA ownership. 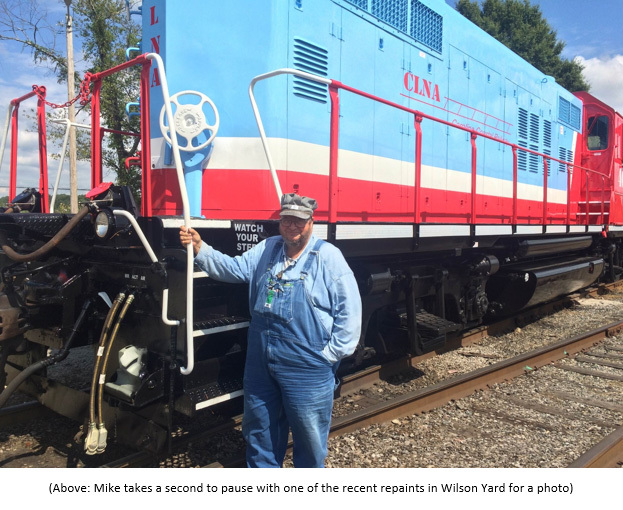 This is thanks in large to the return of regular unit trains to Perdue Farms in Nashville, as well as a corn move from Perdue in Bishops Cross to Braswell Milling in Nashville via our haulage arrangement with CSXT. Construction is well underway on the new transload terminal in Rocky Mount and should be completed in the coming months. 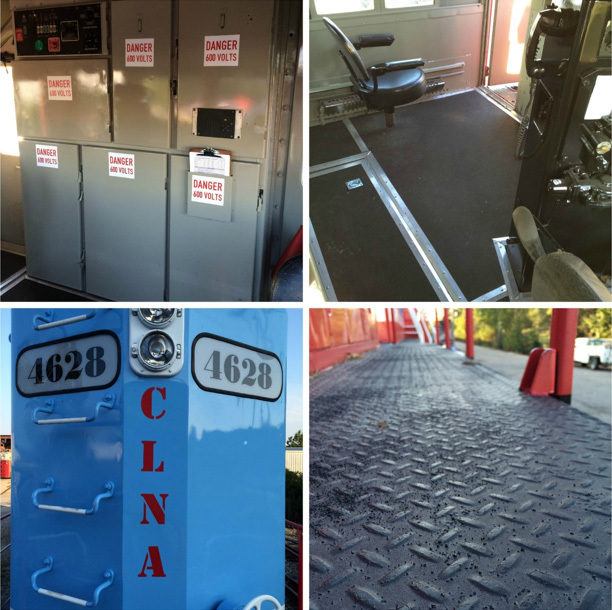 The rail upgrade on Nash County to bring the line up to standard to handle 286,000 pound cars is still underway and significant progress has been made to date. The SW1400 purchased from PCS last year has entered revenue service on the Nash County line as well. As for the rest of the railroad, things are moving along quite well. Business at the port of Morehead is up as new management at the port is working closely with CLNA to bring new customers in. The Belhaven subdivision has seen a large tie project bringing the line up to the 286,000 pound standard. Ties have gone in across the rest of the railroad as well, eliminating many speed restrictions and defects. We had as many as 1,100 storage cars spread out over all our lines during the Spring and Summer, including four Duke Energy unit coal trains. Our annual family day in July had a good turnout with nearly 60 employees and family members in attendance. There are a few new faces at CLNA now as well with the hiring of Gale Gable, Seth Evans, and Ward Creech. We’d also like to welcome a couple of new family members into the world! Tony Desien and his wife welcomed the birth of their daughter Hope Danielle Desien. Kelly Bass and his wife Robin also welcomed a daughter, Karsen Jennings Bass. Finally, Virgil and Marie Holman are the proud grandparents of their second granddaughter, Mia Marie Watts. 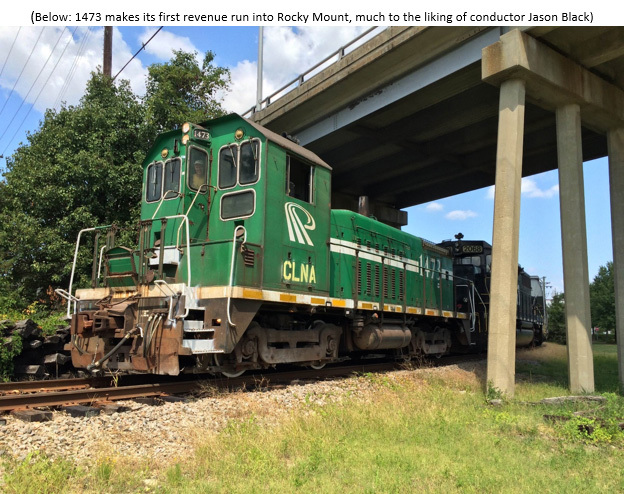 As mentioned earlier, there’s been a lot of chatter among the railroad community concerning the CLNA’s repainted locomotives. 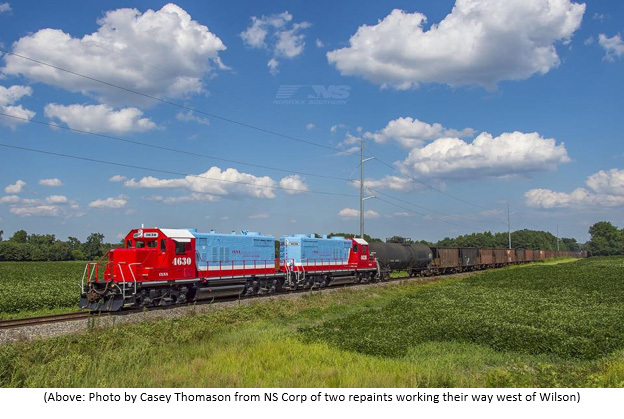 We’ve seen a lot of photographers around since the engines re-entered service after painting, most noticeable Norfolk Southern photographer Casey Thomason. I wanted to use this as a chance to show the locomotives and the detail of the work that went into their aesthetic overhaul. Inside the cab, all walls and surfaces were sanded down and repainted. New warning labeling was applied where necessary. The old floors were also removed and new, custom cut, floors were put in place. They were also topped with a non-slip rubberized coating to prevent injury. The control stands also received a fresh coat of black paint. Moving outside, we find more careful detail. All old number boards were removed and new ones were custom made to replace them. The walkways were also covered in a non-slip coating to making working in adverse weather safer for the crews. We here at CLNA are very proud of the new paint scheme and hope you all like it as well!